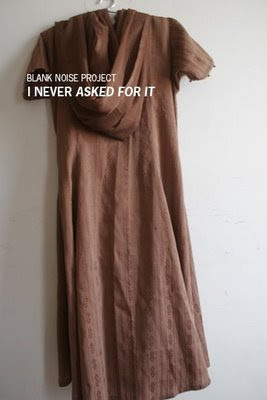 BLANK NOISE: SEND ONE GARMENT YOU WORE WHEN YOU WERE "EVE TEASED"
SEND ONE GARMENT YOU WORE WHEN YOU WERE "EVE TEASED"
Do you really think you 'asked for it' when you experienced street sexual harassment? 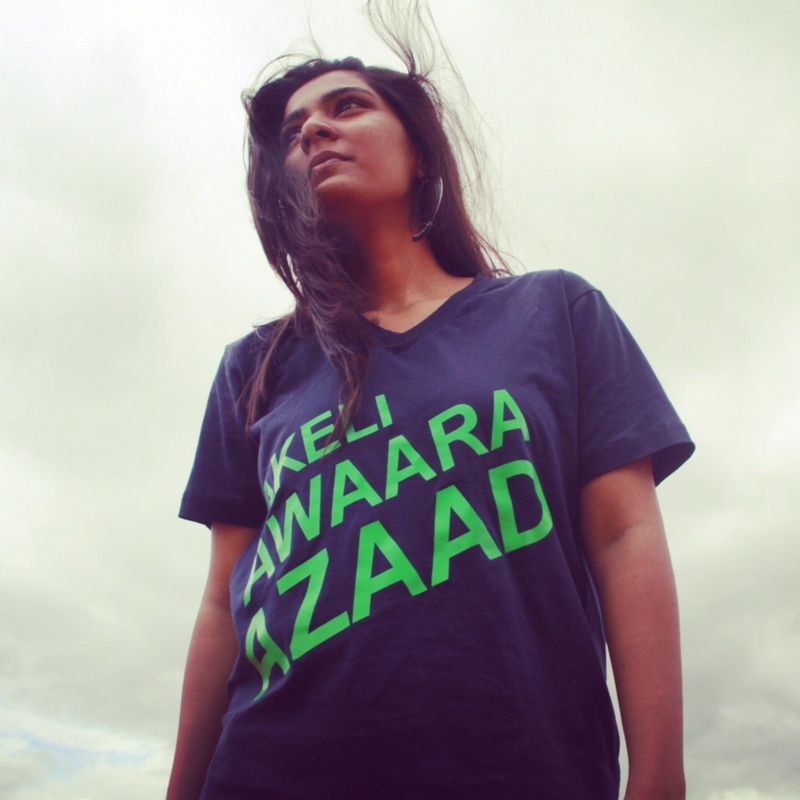 How often have you found yourself blaming the pair of jeans, the salwar kameez, the skirt, the t shirt? 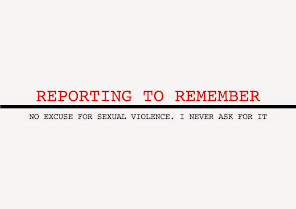 Do you really think it is your fault when you are violated? Do you really think you deserve to be humiliated? 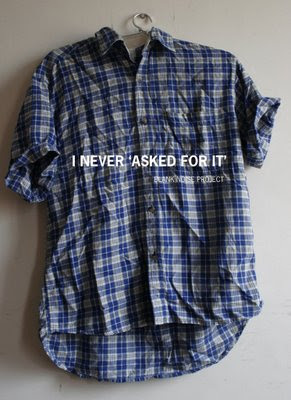 Do you really think that it is only certain kind of clothes that result in women experiencing street sexual harassment? 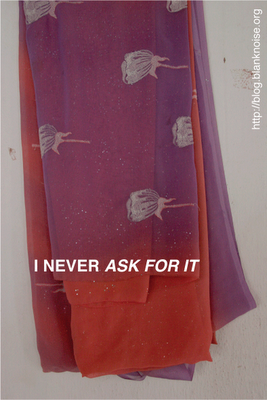 We say there is no such thing as 'asking for it' and we need you to prove that for us/ yourself. 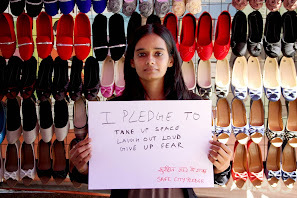 Send in 1 garment you wore when you experienced 'eve teasing'. Your garment is your truth, your witness, your evidence, your memory. You can volunteer to collect clothes volunteers from friends, family, peers, associated and sent them in. You can make this happen. It's simple- ask yourself and others around you to remember that one garment you wore when you were made to feel that you 'asked for it'. 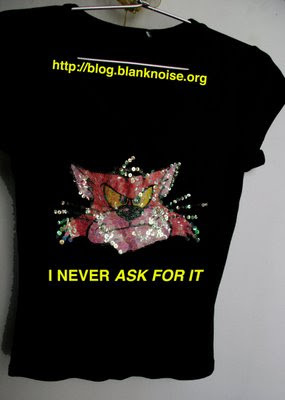 Collect one, two or twenty, be the Blank Noise Action Hero from your city. town. locality. We propose to install these clothes on the streets of your city and collectively challenge the notion that women ask to be sexually violated. Suren Vikash participated in this event by bringing back a bag filled with clothes- belonging to his sister, cousins, and relatives. This is to say that men can participate in actualizing this as well! There will be a contact person per city- that could be you. want to volunteer? 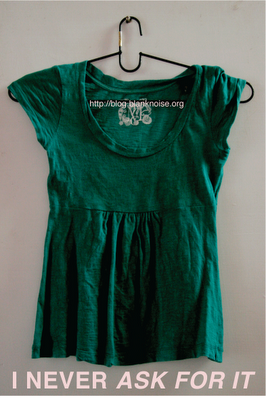 If you wish to collect clothes on behalf of Blank Noise from where you are based, email us. We would be thrilled to have you taking on this responsibility! The mailing address will be shared on email and will be city specific. Please attach a note about what exactly took place. Please attach the age of the person who experienced it. Your identity will not be revealed if you do not want it to. 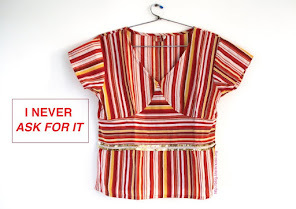 You could also photograph the garment and send it to us. We will share it on the blog. If you have any other ideas on how you can participate- actualizing the event, fund raising, seeking permissions etc, write in now! If you have already discarded that one garment to this project- we will be adding your name to this list below. If you have not been mentioned, please email us and we will add you right away! some of you may not have the garment with you- for instance if the incident took place in childhood and it was a school uniform- in that case do desrcribe the garment to us, or send us something close to it. We take a stand and urge you to do the same. 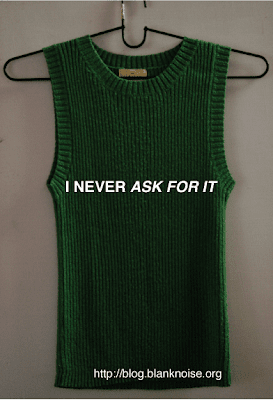 I never asked for it. 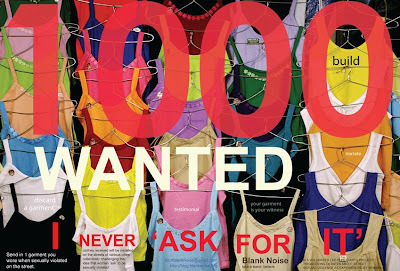 Yes we want 1000! Our last street action on international women's day, March 8 asked Blank Noise Action Heroes from across the country to come wearing the garment they wore when sexually assaulted. There is a 12-step spiritual program I’ve been a member of since 8-9yrs n has more of male members compared 2 women members, d ratio is 1:80 (women 1, men 80). V hav a 3 day convention every yr 2 celebrate r recovery n members from d world attend. On d 3rd day v hav a countdown wrt r clean times in r recovery n a dance is organized 2 celebrate. I ws dancing wid 2 girls when some men started 2 dance right next 2 us, smiling cheekily, making obscene dance moves. v obviously didn't like dis n ignored. they continued wid their shady moves. Every time they came 2 dance wid us, v changed r position but they kept following. a group of men were clicking photos of us when their friends pretended 2 dance wid us. Suddenly one of d men brushed past my sister n she told him 2 back off n stop bothering us. 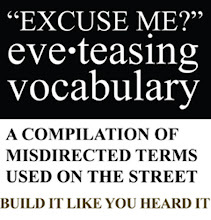 2 avoid embarrassment he became defensive n made a move 2wards her 2 physically hit her. He used very bad language as well. I quickly stepped 4ward 2 protect my sister n askd him 2 back off. suddenly many groups of men surrounded us n v were crowded by men. B4 I knew it, d guy who came 2 hit my sister, caught hold of my hair wid full force n pulled it so hard tht i almost thought tht my skull is gonna rip apart. I didnt even know who dis guy was n couldnt identify him if i had 2. N while my hair was being pulled, a hand came 4 my breast n squeezed it so badly tht it hurt bad. Again, I did't know whose hand tht was. These men were obviously 2gether in harassing/molesting us, even when they were from different towns n didn't know each other. They just had 2 b men, n tht criteria ws enough 4 them 2 support each other. I cried. A few of my friends saw/heard wht happnd n showd concern. A few of them also blamed us 4 dancing in a crowd where there were just men. V were taken aback n decided 2 report d matter 2 d cops educated male members also were of d same opinion tht it was r mistake 2b there n tht v askd 4 it. Wht ws shocking ws tht d cops 2o stated tht v were girls n hence shouldn't dance when only men r dancing. D guys who’d harassed us ran away ven v got d cops 2 catch them. Nothing happened n v went bck tired aftr such an eventful day. Next day v visited d convention premises 4 d last day of d program. It came as a jolt 2 us whn v heard r friends say tht v shouldn't hav gotten d cops 2 a covention area where members r celebrating their recovery. They blamed us of spoiling their covention. d cops had strictly advised d convention organizers n attendees tht those guys who harassed us shouldnt b allowed 2 enter d convention premises. Even then, d organizers came 2 meet us 2 tell us tht dis is a plc where members love members so v shouldn't b cruel 2 them cos their recovery depends on it. v didn't settle 4 it n were determined not 2 get convinced or feel pressurized 2 change r decision or get fearful of them n give in 2 their demands/pleas. v were glad tht d covention ws over n went home wid a sigh of relief. d love of d convention 4 me changed 2 hatred 4 dconvention n its members. Its been 6-7yrs 2 tht incident which has left a big scar in my memory n whn i re-live tht moment, I experience a lot of pain, helplessness n sadness. Dis incident changed my perspective 2wards d meetings, 2wards its members, 2wards celebrating recovery n spiritual principles followed in d program. d incident shook my faith, my belief n my trust in d program, in God n in members. Tho I’v attended a few conventions aftr dis episode, there has been no convention where I hav felt at peace, loved n belonged. It has never been d same. you put a '.' (dot) which dint redirect. hello , I just want to emphasize the good work on this blog, has excellent views and a clear vision of what you are looking for. You bring about a very slid relevant issue in today's society thanks! Nice article, your pictures and slogan is well realized, I hope we will decrease this atrocity. This project is a very courageous, indeed! That article was published 2 years ago, so I will really appreciate if you can send to where I can get update. Or do you have update on this site? Anyway I will look round. But let me advice that you avoid going about an advocacy of this nature to be seen against men. Yes, men are mostly the predators – but not all. However, most time enlighten ladies in the forefront against sexual discrimination and harassment; erroneously present themselves as ‘fighting’ men. That’s has been one of reasons most men don’t support its success, and those supporting openly (even government officials) don’t privately. Have all of you seen this? We need to do a 'I never ask for it' and/or 'Take back the night' event in Bangalore University. Can I get a contact of Blank Noise in Bangalore who I can discuss this with? this is a very constructive and informative article about an innovative product. worth reading.